While start-up satellite firm Sky and Space Global has a formal launch contract with Virgin Orbit and an exploratory Memorandum of Understanding (MoU) contracts with China’s CGWIC, it has just signed a new MoU with Arianespace to launch 88 satellites on Arianespace’s Vega rocket beginning in 2020. Sky and Space Global is planning a communications constellation working on IoT (Internet of Things) and M2M (Machine to Machine) applications. In a separate deal Sky and Space Global has a preliminary agreement for a demonstration launch of the Rocket Lab Electron rocket for 2019. 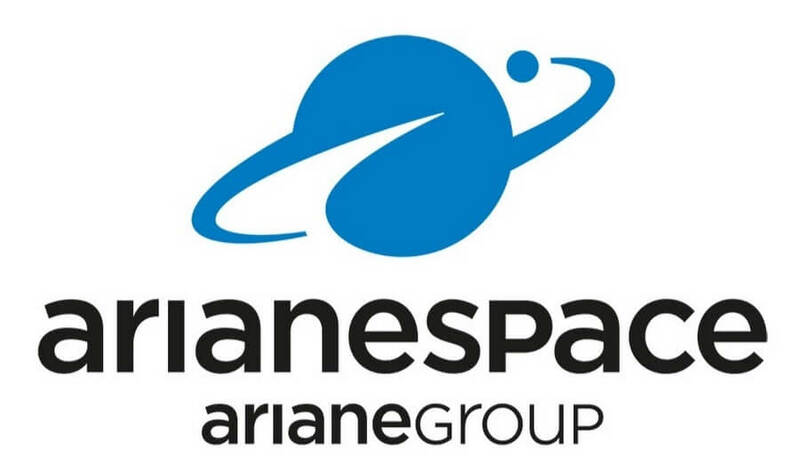 Corporate logo of launch provider Arianespace. A cashflow issue has delayed production of its Sky and Space Global’s satellites at GomSpace and thus will not now be ready for launch until 2020.